CPCT - Certified Premises Cabling Technician - is the FOA certification for designers, installers and operators of premises cabling networks. Premises cabling refers to building and campus cabling that is generally customer-owned and used for local area networks of computers (LANs), security systems (CCTV and alarms), building management systems, distributed antenna systems (DAS for cellular and WiFI) and other applications inside buildings or on a campus. The FOA CPCT certification KSAs cover copper and fiber optic cabling and wireless communications. To qualify for the CPCT certification, at least two years of relevant field experience is required, including documented experience installing and testing premises cabling networks. Training by employers, manufacturers or vendors of cabling products may be recognized as part of the experience requirements. FOA CPCT certification includes all types of infrastructure for premises cabling and communications - copper and fiber cabling and wireless systems. CPCT certification is based on KSAs (knowledge, skills and abilities) that require a knowledge of cabling and wireless technology and standards along with demonstrated skills in the installation of copper and fiber cabling system to support networks. Most CPCTs will work as contractors and installers, although the certification provides excellent training for IT or security personnel responsible for the operation of networks. CPCT courses will generally be 50% hands-on labs developing the skills necessary for working with premises cabling systems. How Does One Qualify for the FOA CPCT? FOA CPCT certification means the person has demonstrated extensive basic knowledge of copper cabling, fiber optics and wireless as used in premises cabling systems. They have also demonstrated skills and abilities in the processes used in the industry for installation. These requirements are summarized as KSAs (knowledge, skills, abilities). Knowledge is tested in the FOA CPCT exam taken by all applicants. Skills can be demonstrated in hands-on lab exercises and verified by instructors giving an FOA-Approved course or for those already working in the industry, verified industry experience. Abilities: Techs need the ability to perform relevant tasks, evidenced by showing skills in hands-on tasks. There are two paths to CPCT certification: 1) training at an FOA-Approved school or 2) experience in the industry and other training or self-study using the Fiber U Premises Cabling online course, as preparation for taking the FOA CPCT exam. Anyone who attends a CPCT course at an FOA-Approved school will take the exam as part of the course. What Training Is Required To Take The Exam? Most CPCTs obtain their certification by attending an FOA Approved school. The exam is based on the FOA-written textbooks, The FOA Reference Guide to Premises Cabling or the FOA Online Reference Guide website for those who wish to study for it themselves.Studying for the exam can also be done online using the Fiber U Premises Cabling online course. For those wanting a formal course of study, there are many FOA-approved schools that include the FOA CPCT in their programs. To see what is involved in the courses, see Detailed Curriculum Requirements For FOA-Approved Training Programs. If you are planning on taking the CPCT exam, you need to study the materials on which the exam is based. The exam is a written exam consisting of 100 multiple choice, matching and true false questions. 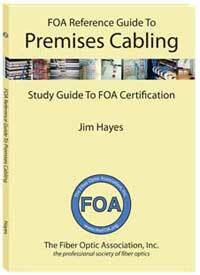 The exam is based on the FOA-written textbook, The FOA Reference Guide to Premises Cabling or the FOA Online Reference Guide website. 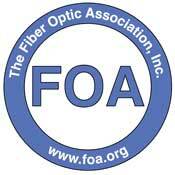 For a guide to self-study for the FOA CPCT exam, go to Fiber U, the FOA free online self-study website. You should take the self-study Fiber U Premises Cabling online course and obtain a certificate of completion or read the FOA textbook or Online Reference Guide and answer all the chapter or section questions. (C) 2019, The Fiber Optic Association, Inc.